Shares of Sysco soared 8.7 percent after reports the billionaire Nelson Petz's Trian hedge fund had bought a 7 percent stake in the company. Billionaire investor Nelson Peltz, the head of hedge fund Trian Partners, has just sunk $1.6 billion in Sysco Corp., sending shares surging for a company he says is greatly undervalued. Trian took a 7 percent stake in the company, making it the largest shareholder and sending shares soaring. Peltz believes that Sysco, which is the largest food distributor in the United States, is an undervalued company that could be greatly improved, according to a Reuters report. Shares rose 8.7 percent on the news to $41.87 on Friday. That was a 20-month high for the company. As the largest shareholder, Trian will seek representation on the board of the company. It’s the latest foray into the food and beverage industry for Peltz, who has gotten greatly involved in mergers and spinoffs. He helped convince shareholders it would be best to get Mondelez International Inc. out from under Kraft Foods in 2011, and has been trying to get PepsiCo to spin off its snack division from the beverage side of the company. Sysco has had a rough three years, reporting profits in only one quarter during that period. It is the largest supplier in the U.S. of food, working with restaurants, schools, hospitals, and the military. The company had thought about making a move for rival US Foods for $3.5 billion, but it was blocked by the Federal Trade Commission. Trian and Peltz want to make some changes at the company. 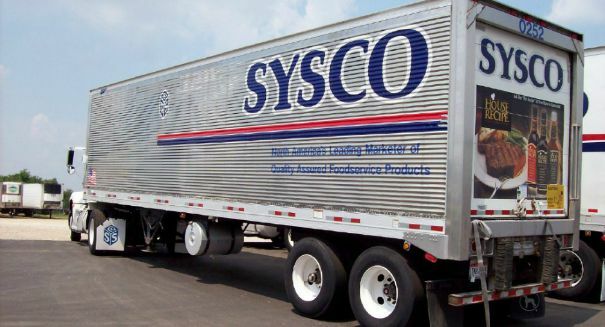 They want Sysco to improve operating margins, enhance working capital efficiency, and take on a little debt to boost shareholder returns. Also, the company may want to tie compensation packages for executives to company performance, Trian believes.